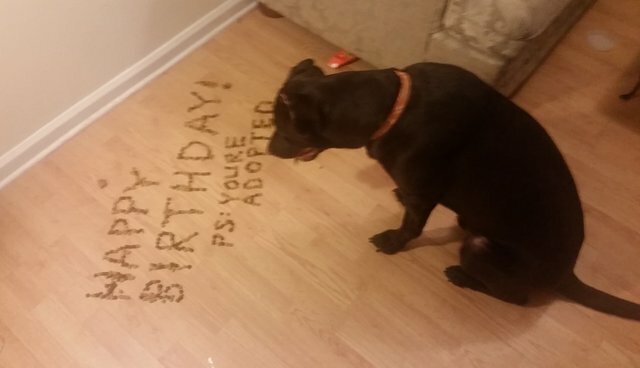 For Dexter's first birthday this week, his human, Dallas Hammer, decided to spell out a special birthday message in kibble. "HAPPY BIRTHDAY! PS: YOU'RE ADOPTED." 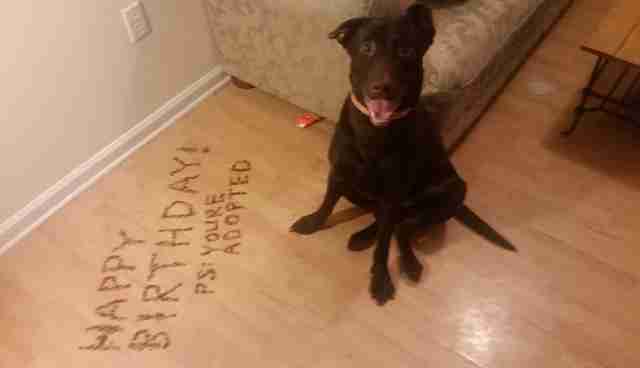 The birthday pup took the news extremely well. "I have no idea what this says but I love you too, Human!!" Hammer uploaded the picture to Reddit where it quickly garnered thousands of likes and shares. According to Hammer, these pictures capture Dexter's goofy personality. 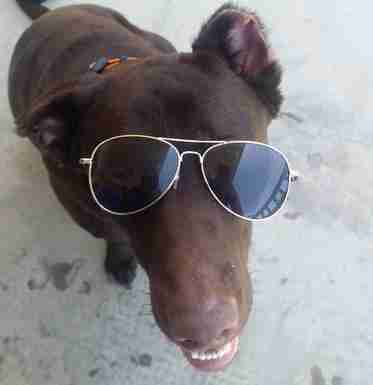 "He's one of the most lovable, happy dogs ever," Hammer told The Dodo. 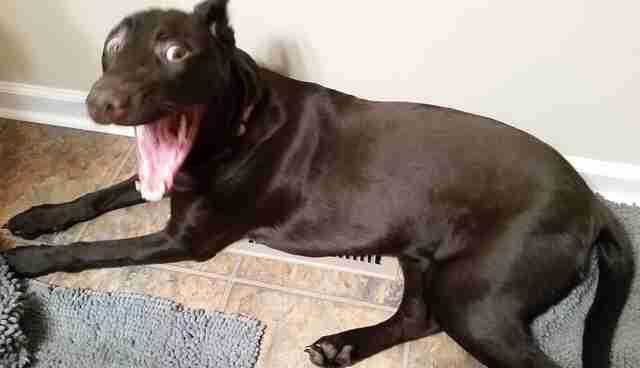 "He makes the funniest facial expressions and he snorts when his belly gets pet." Hammer also told The Dodo that Dexter's newfound fame has probably gone to his head.